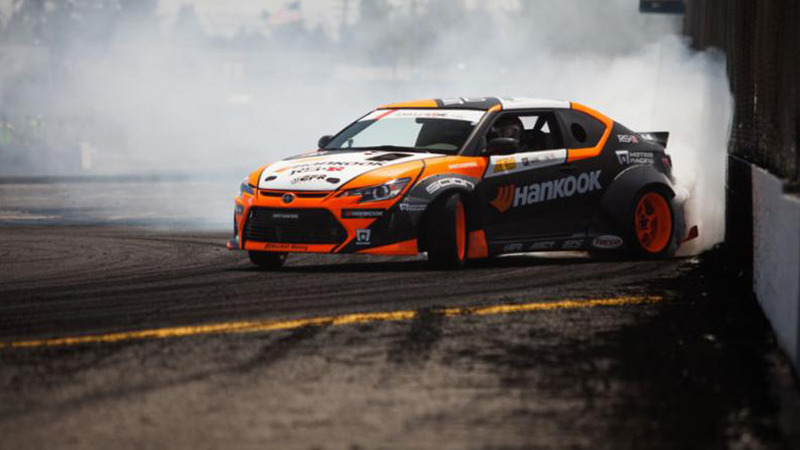 MONROE, Wash. – Hankook Tire Scion Racing driver Fredric Aasbo is in the hunt for the 2014 Formula Drift championship after a solid finish at Evergreen Speedway this weekend. This season has seen fierce competition in Formula Drift, with the drivers at the top of the standings rewarded for consistent results. The championship is within reach for the driver, who stands in second place, behind Hankook Tire teammate Chris Forsberg. In the kind of performance that makes Aasbo a perennial fan favorite, his Top 8 battle with Aurimas “Odi” Bakchis was an event highlight. The two drivers showed their sideways style door-to-door, producing enormous clouds of tire smoke for thousands of cheering fans at the Seattle area track. Judges ruled their first match too-close-to-call and ordered a re-run, and Aasbo won the One More Time battle to advance to the Final 4. The course configuration at the Monroe track features steep banking and rough transitions. It can be unforgiving, but Papadakis said the Hankook Tire Scion Racing tC’s suspension gave the team an edge. After scoring a win at the previous round in New Jersey last month, Aasbo was looking set for a return to the podium. He was putting down a strong run in his battle against rival Dean Kearney when the boost cut-off suddenly kicked in and he lost power. Aasbo had to settle for fourth. Papadakis said the team will make a change for the next round in Texas, September 12 and 13. Drifting is a high-skill, high-powered motorsport with an emphasis on car control skill. Drivers compete in knockout heats on a closed course, sliding sideways in trials judged on speed and style. With origins in Japan, it is the fastest growing form of motorsport in the world. Fredric Aasbo returns to Papadakis Racing in 2014 for his fourth season with the team. The Norwegian driver, twice voted “Fan Favorite of the Year” (2012, 2013), is a two-time Nordic Drifting champion (2007, 2008) and 2010 Formula Drift Rookie of the Year. He ran select Formula Drift events in 2009 and 2010 and made his U.S. debut at a global drifting invitational in 2008. He has rapidly progressed through the drifting ranks around the world and has established himself as both a fan favorite and proven championship contender. Originally from Ski, Norway, Aasbo splits his time between his native country and Redondo Beach, California. He campaigns a full international season, in 2014 running the full Formula Drift schedule as well as the Formula Drift Asia series and select events in Europe. Team owner Stephan Papadakis is a legend of sport-compact racing who began building his reputation in the 1990s with the first front-wheel-drive, tube-chassis drag car in the U.S. The team earned multiple records and championships in the discipline, turning in elapsed times and trap speeds previously thought unattainable in front-drive drag cars. Papadakis’ successes in front-wheel drive were matched by his efforts in rear-wheel drive when he campaigned a Civic that became only the fifth car to join the NHRA’s Sport Compact 200 MPH club. Aasbo is the newest member of Papadakis Racing, who signed the Norwegian driver when Tanner Foust announced his retirement from the sport after the 2010 season. The team began drifting in 2005 and has shown impressive results, earning two championship titles (2007, 2008) and scoring the runner-up position in the 2010 championship. The Hankook Tire Scion Racing tC is the team’s latest competition build. 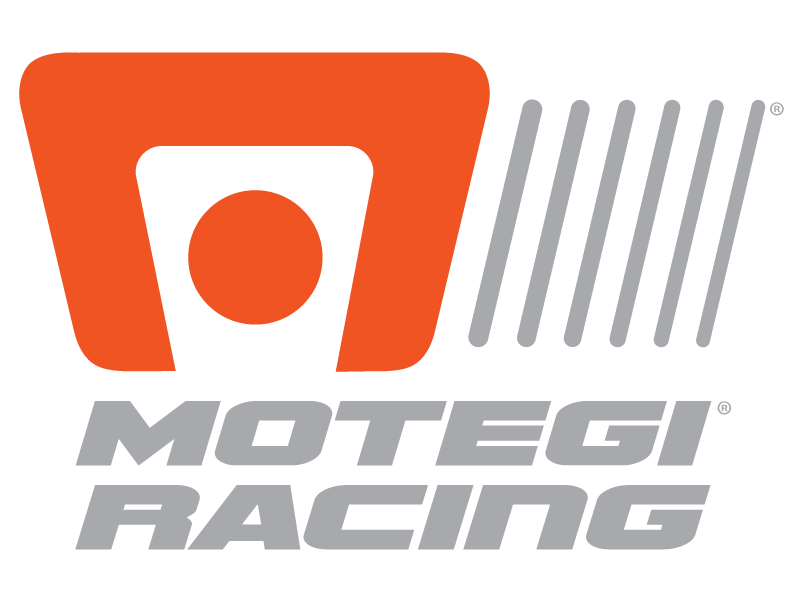 Previous Post 5 WINS AND 17 PODIUMS FOR MOTEGI RACING WHEELS AROUND THE GLOBE Next Post GT DAYTONA IS THE MOST COMPETITIVE CLASS IN THE IMSA TUDOR UNITED SPORTSCAR CHAMPIONSHIP SERIES.